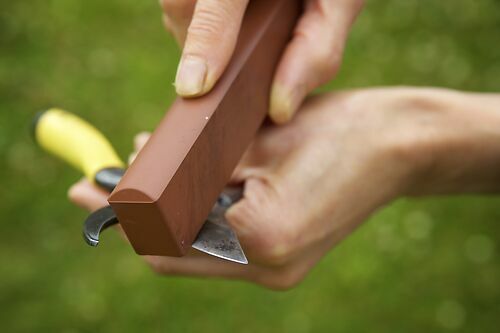 Fantastic sharpening stones specially designed for Secateurs, but also great for Shears, Topiary Clippers and other sharp stuff. The concave edge follows the curve of the blade perfectly, and they're small enough to get into tight spots. These are what Tobisho recommend for their tools, and what Jake now uses for his secateurs. See the link for instructions and a video, but the golden rule is to soak thoroughly each time before use. And not to drop them.